For 30 some years, longtime Las Vegas bookmaker Johnny Avello had run Sin City sportsbooks in some of the most prestigious casinos. He spent the past 13 years as executive director of the race and sportsbook at the Wynn, where he regularly accepted six-figure wagers and even a few million-dollar bets on past Super Bowls. "This year was definitely different for me," Avello, now director of operations for DraftKings' sportsbook, said Sunday night as the last NCAA tournament games were tipping off. Instead of running from casino to casino, making sure the right TVs have the preferred games for the preferred guests like he did at the Wynn, Avello got a different perspective of the betting madness this year. He watched it all unfold on a computer screen in DraftKings' office in Henderson, Nevada. "Great handle, great action and the customers engaging just like they did when I booked the games in Vegas," Avello said. Avello said he didn't see any of the giant bets in the six-figure range that he used to take at the Wynn, but the volume of wagers impressed him. "There are good-sized bets, but just not those six-figure bets that we were taken," Avello said. "The action was nonstop from noon to midnight. It felt like it was more than the Super Bowl." This year's NCAA tournament is the first since legal sportsbooks began popping up in states around the country. DraftKings operates one of the two leading online sportsbooks in New Jersey, in addition to a retail book at Resorts in Atlantic City. DraftKings also operates the sportsbook at the Scarlet Pearl, a casino in Biloxi, Mississippi. New Jersey and Mississippi are among seven states that got into the bookmaking business in 2018. As much as things have changed in the U.S. betting landscape, the results stayed the same. Bookmakers from New Jersey to Las Vegas cleaned up on the first three days of the tournament, before bettors battled back on Sunday behind a historic run by favorites to close out the weekend. • On Friday, a bettor at a Caesars sportsbook in Las Vegas placed a $150 money-line wager on Duke to beat North Dakota State at -15,000 odds. The Blue Devils prevailed, and the bettor was rewarded with a net $1 profit. • The largest reported bets from the first four days of the tournament were a pair of $500,000 money-line wagers from the same player at a CG Technology sportsbook in Las Vegas. The first one on Michigan: $500,000 on the Wolverines at 1,800 odds to beat Montana on Thursday. Michigan prevailed 74-55 and the bettor won a net $27,777. The same bettor returned Friday, rolling over his winnings on a $527,777 money-line bet on Texas Tech to beat Northern Kentucky straight-up at -1,400 odds. The Red Raiders won 72-57, and the bettor won a net $37,698. The bettor did not bet Saturday or Sunday at a CG Technology book. • PointsBet, one of the new online sportsbooks in New Jersey, said the amount bet on the first four days of the NCAA tournament was four times greater than the amount wagered on the Super Bowl at its shop. "[It] speaks to both the popularity of the tournament as well as the pace at which the market is continuing to grow," Matt Chaprales, head of content for PointsBet, said in an email to ESPN. • Betting handle was up at most Las Vegas sportsbooks on the first NCAA tournament weekend since other states began offering full-scale sports betting. Handle was up nearly 20 percent year-over-year on the first four days of the tournament at the SuperBook at Westgate Las Vegas. "The tournament's been great for us," SuperBook vice president of risk Ed Salmon said. "Thursday and Friday were really good, and handle has been above last year." • All 16 favorites won in the round of 32, the first time that has happened since the tournament expanded to 64 teams in 1985. • MGM sportsbooks reported three straight winning days to open the tournament, but Sunday went to the bettors. "We got destroyed [on Sunday]," MGM sportsbook supervisor Scott Shelton told ESPN. 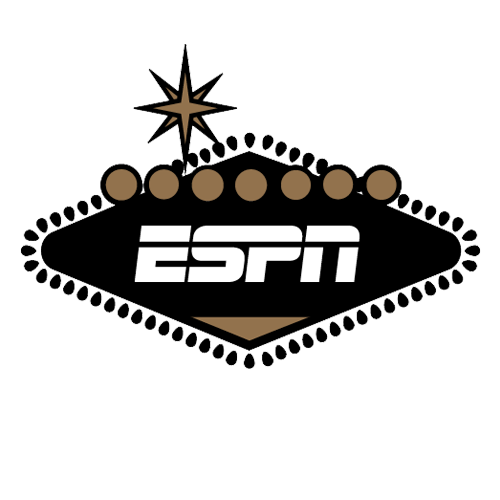 • The sportsbook at the South Point Casino in Las Vegas was the first to put up point spreads for the Round of 64 games, posting virgin numbers and taking $10,000 limits just minutes after the bracket was released. "We didn't knock 'em dead," South Point sportsbook director Chris Andrews said, "but we held our percentage." • The South Point took $100,000 bets on pair of upstart underdogs over the weekend, one on Wofford +5 vs. Kentucky and the other on Murray State +4 against Florida State. Kentucky covered in a 62-56 victory, and Florida State routed Murray State 90-62. • Caesars sportsbooks reported taking a $100,000 money-line bet on Texas Tech to beat Northern Kentucky in the opening round. The Red Raiders won, and the bettor collected roughly an $8,000 profit. • More money was bet on Wofford-Kentucky than any other game at DraftKings sportsbook. • Sportsbooks over the last several years have been offering odds on which team scores 15 points first in individual games. When No. 16-seed Gardner-Webb jumped out to a 15-10 lead, MGM sportsbooks suffered what vice president Jay Rood described as a "six-figure loss." "First to 15, it wasn't good for us," MGM sportsbook director Jeff Stoneback said Sunday night. "It's a very, very popular bet. It seems like they always get to about 13 points and we get the first TV commercial break. Then, they come back, and when a team gets there -- especially the underdog -- the room just erupts." • Maryland's tight win over Belmont on Thursday produced the biggest win of round of 64 at sportsbook at Hollywood Casino at Charlestown in West Virginia. "It was the most popular local game," vice president of race and sports Erich Zimny told ESPN. "A huge chunk was either on Maryland giving the points or Belmont on the money line. We were winners on both ends."